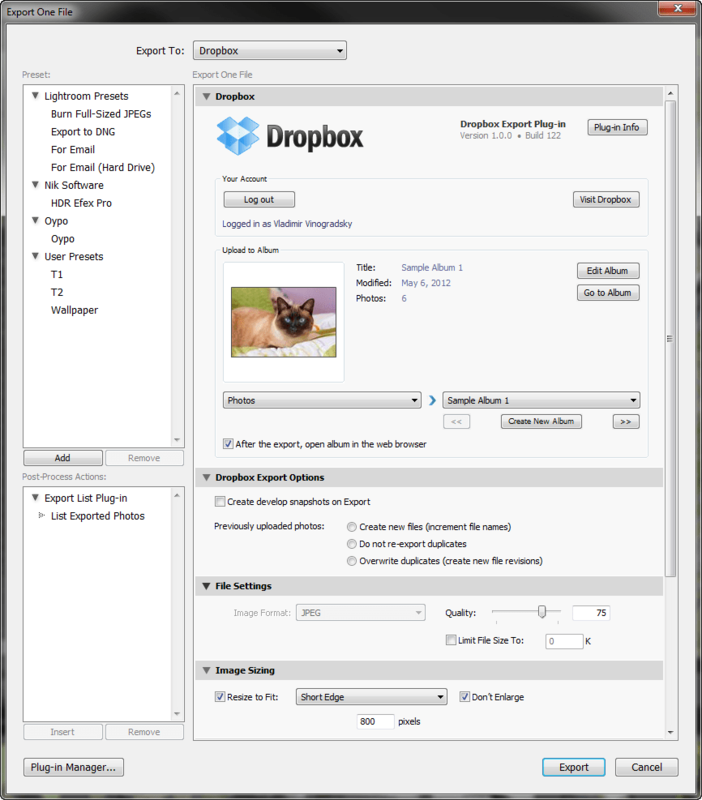 The new Dropbox for Lightroom version 2.11.2 is now available for download. It’s a great software plugin that will help you to export your images/photos from Adobe Lightroom to Dropbox directly. Dropbox for Lightroom full version will help photographers to share their works with the clients. This plugin works with Adobe Lightroom version 2 and newer. Off course it also works with Lightroom CC. This software is a shareware but you can download the free trial before deciding to purchase the full version. It is available for Windows and Mac OS X. You may download this program from the link below.